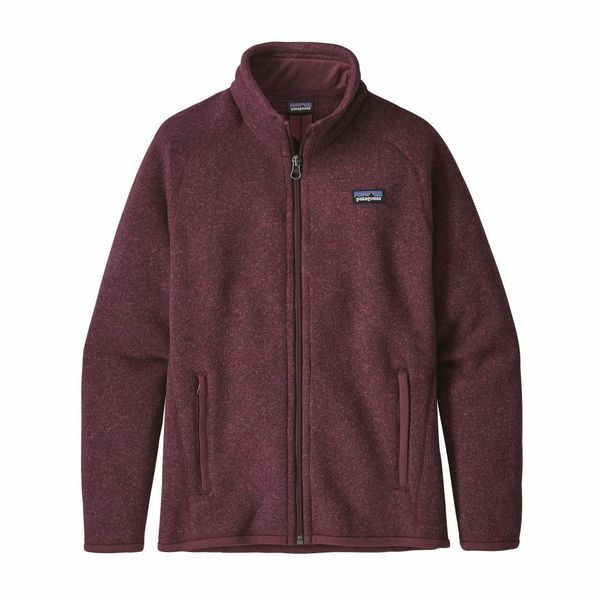 This classic Better Sweater full zip jacket has a sweater-knit exterior and soft fleece interior. Cozy. Warm. Stylish. Patagonia. The Girls' Better Sweater® Jacket is made from 100% polyester heathered yarns and dyed with a low-impact process that significantly reduces the use of dyestuffs, energy and water compared to conventional dyeing methods, has a sweater-knit face and a soft fleece interior. This full-zip jacket has a zip-through stand-up collar and kissing-welt closure to prevent chin chafe. Raglan sleeves, angled front seams and princess seams in back give it a contoured shape and fit. There are two zippered handwarmer pockets, plus soft and smooth polyester jersey trim at the collar, pockets and hem. Hand-me-down ID label. Fair Trade Certified™ sewn.